2 1/4" Aramith Magnetic Cue Ball with Green Logo for Coin-Operated Tables. If your home or bar pool table has an automatic, magnetic cue ball return, you should have a special replacement cue ball on hand so play is never interrupted. 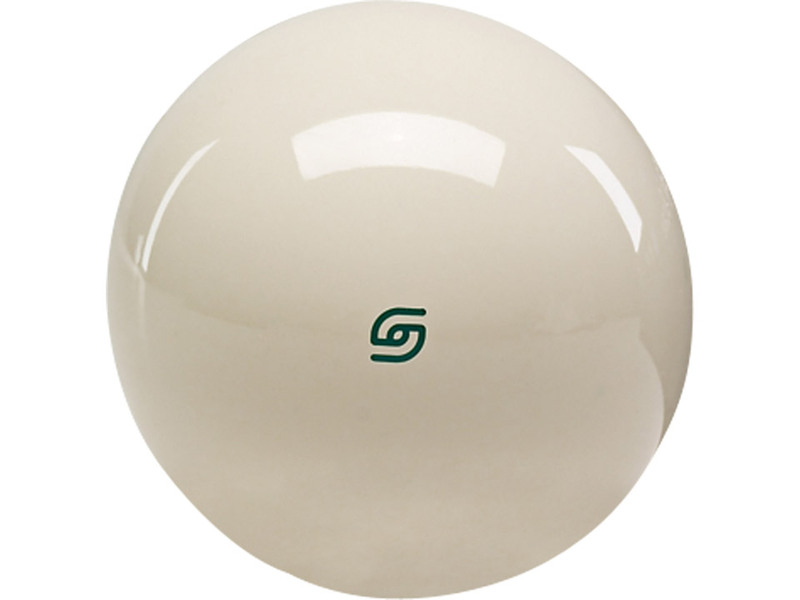 This high quality Aramith Magnetic Cue Ball has a magnet built into the center to trip the sensor in the table. After a scratch, the cue ball is separated from the number balls and returned it to the end of the table.Aramith balls feature:- Perfect roundness and balance - Uniform weight and hardness - Brilliant colors - Friction resistant roll and reactionAramith phenolic balls last up to five times longer than other balls made from polymers or polyester. Billiards-play simulators have shown that Aramith phenolic balls are still perfectly playable even after 400,000 hits, whereas others were rendered unusable.Size- 2 1/4 inchesWeight- 6 Oz.